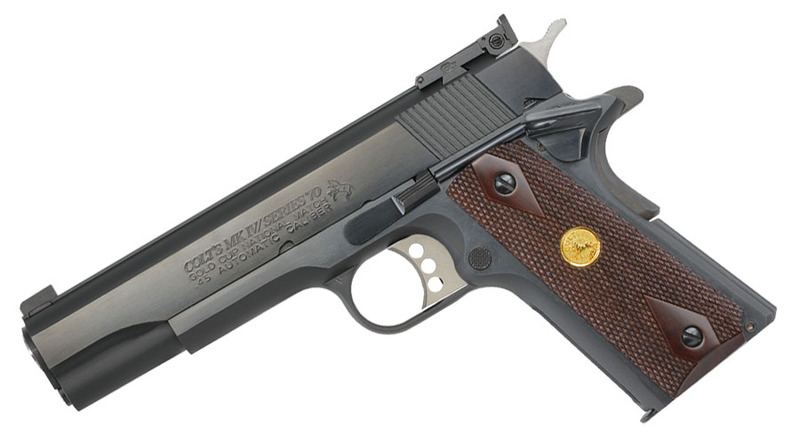 Colt's National Match Gold Cup, featuring a Blued finish, 5" Match grade barrel, checkered walnut grips with gold medallions, wide target trigger, Bomar style adjustable rear sight, GI beavertail grip safety and two magazines. Brand new with box manual and all of the usual factory items. Series 70 Fire Control System.